Ever wonder what CMP, CSEP, CPCE, CGMP means in relation to event planning? Curious if event planning certifications can actually help you learn more about the industry or take your career to the next level? If the answer is yes, you've come to the right place. Read about twelve of the most popular event planning certifications, also known as event management licenses, and learn how to obtain them in order to propel your event marketing career. We'll also show you how to use a certification to your advantage at the end of the article. What Is The CMP Certification? According to CIC (Convention Industry Council), the main goal of the CMP program is to standardize best-practices, establish credibility to the profession, and boost the performance of event planners. The CMP exam is developed by planners from around the world and the event certification itself is held by professionals from 55 countries. With more than 14,000 meeting professionals having received CMP Certification, the CMP program has led the way in standardizing event industry best-practices throughout the globe. How To Become CMP Certified: The exam covers a range of event industry topics, from strategic planning, to site management, to event design and marketing. CIC recommends that those interested first consult the CMP International Standards document, and then focus on studying the areas outlined that planners are least familiar with. For those interested, CIC offers a Healthcare specific CMP certification, designed to educate planners focused on the healthcare industry. What Is The CSEP Certification? This particular event management license, endorsed by ILEA (International Live Events Association), is meant to improve industry performance by providing professionals with the opportunity to develop professionally and gain expertise in the events industry. The CSEP program is also meant to respond to the growing complexity of maintaining a standard of practice among events professionals in an industry that is constantly changing. There are a variety of benefits that come with CSEP Certification. For example, as this event certification is globally recognized, planners will be connected to a global community of other professionals in the industry. How To Become CSEP Certified: In order to be eligible for the CSEP program, offered four times a year, event planners must have a minimum of three years of full-time professional employment in the special events industry. In order to keep up to date with industry best practices, those with CSEP certification are required to re-certify every five years. For details on the structure of the exam and testing periods, check out the ILEA website. How To Become CPCE Certified: The structure of the exam is comprehensive and consists of 175 multiple choice questions, covering domains ranging from accounting to beverage management, and marketing to human resources. Planners can be sure that by preparing and succeeding in this exam, they will have a strong grasp of a wide range of industry knowledge. What Is The CGMP Certification? Becoming a certified event manager is not only relevant for the private sector but the public sector as well. The CGMP program is the highest designation geared toward government planners and suppliers. The certification is meant to provide planners with a strong understanding of the rules and regulations surrounding government meetings, and to “increase the exposure/importance of the government market” within the events industry. The CGMP Certification is excellent for government meeting professionals, because it not only provides planners with expert knowledge on the details of rules and regulations but has the highest level of certification for this specific industry. It also better positions certification holders for growth within their company. How To Become CGMP Certified: The program encompasses a 100 multiple-choice exam and a three-day course consisting of instruction within a variety of areas, specifically ethics, Federal budget and appropriations, Federal travel regulations, and contracting. Obtaining GTP Certification can go a long way in terms of developing one's professional image and career. 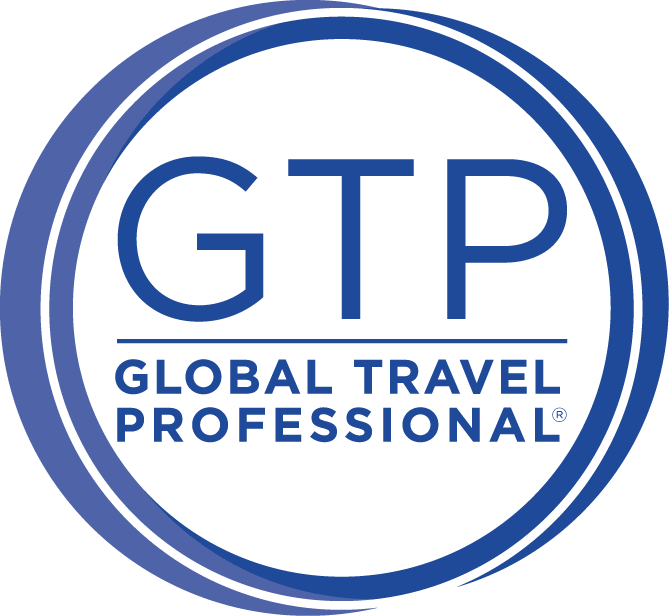 As hundreds of leading professionals in the business travel industry have earned the GTP Certification, participating in this program will give organizers credentials that match these leaders. How To Become GTP Certified: GTP Certification requires applicants to complete a comprehensive exam that covers domains from strategic business planning, buyer/supplier relations, to data, analytics and finance. The GTP program also offers a variety of ways to help applicants succeed through the program, from study guides and resource lists to online prep courses. How To Become DES Certified: DES event certification consists of a three-part process: a demonstration of previous professional experience in the industry, the DES Online Learning Program, and the exam. The curriculum and exam cover topics ranging from user experience, content development, product launches, audience acquisition, and monetization techniques. The exam itself is based on this curriculum, as detailed on the DES Certification page. Upon completing this process, event managers officially hold the title of being DES certified event managers. How To Become CMM Certified: This event management license program offers a customized training and study program. It is led by University of Virginia professors who cover important business management topics like strategic negotiations, business analytics, and risk mitigation. In addition to this training, the program also includes a case study project that conjoins what you’ve learned to your actual role in the industry. The CEM program strives to provide a holistic education to event professionals to set them up for success within their respective areas of expertise. How to become CEM certified? Candidates must choose 9 out of the 12 courses that are offered and pass an exam after completing each course. Candidates are given 3 years to complete all 9 courses and exams. Though an extensive process, the CEM program provides a thorough and detailed education of the event industry and graduates of the program not only benefit from the newfound knowledge but the valuable network of fellow CEM professionals. What is the CTSM certification? Created by Exhibitor Magazine, the CTSM program is designed for event professionals who are looking to elevate their mastery of trade show and corporate event marketing. Becoming a certified event manager within the trade show industry will open doors to further propel one's event management career. How to become CTSM certified: To obtain this event management license, candidates must complete a 28-session core curriculum that encompasses a wide range of topics including Global Exhibit Marketing, Measurement & Analytics, and Management & Leadership. Upon completing the course, candidates will take a final exam that requires a minimum score of 75%. After passing the exam, candidates are expected to build a portfolio of real life trade show projects they were responsible for. These are the three steps that are necessary to become a Certified Trade Show Marketer. What is the CEPS certification? This certification is provided by the National Career Certification Board which specializes in entry-level certification for the career training industry. Receiving the CEPS certification is not as extensive as the other certifications on this list but it still provides a proof of expertise that can be helpful when starting out in the events industry. How to become CEPS certified: There is no work experience or course requirement for this certification. The only requirement is to pass a 30 question exam after taking a few practice exams. The certification and exam costs $175 to complete. Again, this certification is meant for entry-level event professionals and upon receiving it, can open up more career opportunities. How to become CQEP certified: The CQEP certification requires candidates to pass the online exam after completing an online training course. Upon completing the training course and passing the exam, graduates will 30 Professional Competency Units from the Management Strategy Institute as well as an official MSI Certification in the mail. This may go without saying, but being a successful event professional requires a deep and expansive knowledge of marketing strategies. Some event organizers may not even realize how much marketing knowledge they possess until they’ve been in the industry a few years. Being an expert marketer is very much in line with being a skilled event marketer so it only makes sense to seek certifications that displays one’s marketing abilities. What is the PCM certification? The American Marketing Association is known for their highly respected Professional Certified Marketing program that encompasses various tracks. The program offers three different certifications. This certification signifies one’s expertise on a range of digital marketing topics such as email marketing, SEO, metrics, conversions, and more. Being a PCM in digital marketing will help expand one’s knowledge on digital event promotion strategies. An event itself is a form of content for attendees to consume so it only makes sense for event professionals to have a firm grasp on content marketing. Receiving this certification will result in a deeper understanding of key topics such as multi-channel content creation, using content for lead generation, and content marketing ROI. How to become PCM certified: The certification process for each track is the same. Candidates take must study for and take an online exam that will grant the certification upon passing. Each of these exams cover the respective area of expertise. Depending on what one is looking to improve upon regarding their skill set, these certifications provide a solid marketing foundation that will elevate one’s event organizing capabilities. Certified event managers who have received one or multiple certifications should also be sure to stay up-to-date with the organizations that are responsible for granting them. Often organizations like ISES maintain active local chapters where event planners can come together to network and share best practices. Earning a certification is just the first step to becoming a better event organizer. Once a planner has obtained a certification, it's time to use the new credential to full effective in order to grow professionally. Further grow your expertise with one of these specialized resources. Just click the button below! Editor's Note: This blog post was originally published on March 23, 2016 and has since been updated.